Egypt is a country with a long standing history, diverse cultural heritage and unique climate in most parts of the country. Everyone visiting the country will find something interesting to do, explore or visit. Historical, cultural and recreational activities are on the list. 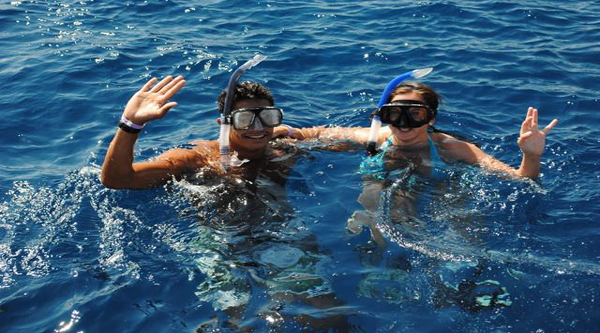 Diving excursions in Sharm el Sheikh. Moses Pool in al-Tor city. Holidaying in Sharm el Sheikh. Sun and beach holiday lovers will enjoy Red Sea Riviera with its crystal waters and sunny weather all year round in Sharm el Sheikh and Hurghada , Marsa Alam and el-Gouna. 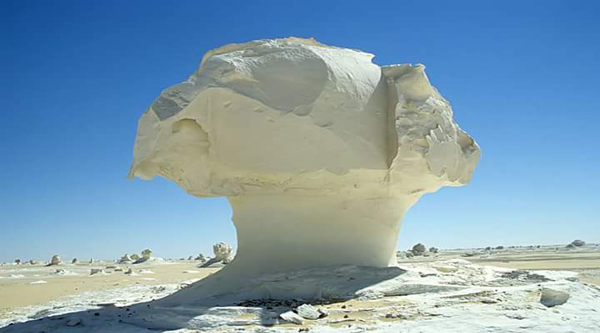 In winter Aswan will be a perfect place to spend your holiday. Long sandy beaches of Marsa Alam together with warm mild climate of the area make it all year round resort. Now it is easy to book your next holiday online via our site, just choose from a variety of hotels we offer in different cities and get your private airport transfer to the hotel included. 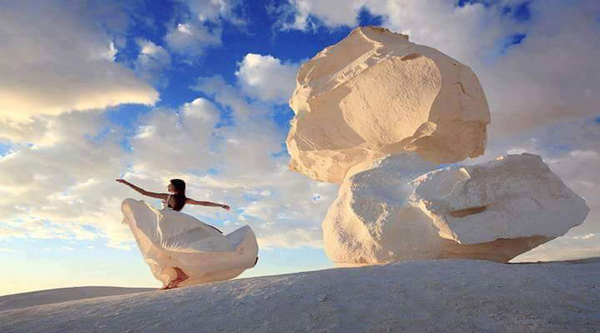 Strong winds of Dahab and el-Gouna will suit kite and wind-surfers all year round. You cannot live without diving , Red Sea has it all – Sharm el Sheikh with its famous dive spots and Marine Park of Ras Mohammed is ideal place for this kind of activity. Unique and divers underwater world of the Red Sea with its famous Sharm el Sheikh dive spots attracts all kinds of divers to the resorts. Everyone will find here something to do: night divers will enjoy spots in the darkness, ship-wreck divers will discover famous wrecks like Maria Shreder or Thistlegorm, Million Hope and Dunraven, while shore divers can enjoy beautiful coral reefs at Ras Mohammed National park or at Sharks bay. Famous reefs at Ras Gamila, Ras Nasrani, Ras Bob, Shark's bay, Far Garden, Middle Garden, Near Garden, White knights, Soafa, Tower, Pinky's wall, Amphoras, Turtle bay, Paradise, Ras Umm el-Sid , Temple and Ras Cathy can be easily reached during daily diving boat trips from Sharm el Sheikh. Variety of fishes, coral reefs and other creatures will astonish even experienced divers. But look out for potentially dangerous Red Sea creatures and sharks while diving and snorkelling. Also do not forget to have a look at Red Sea fishes check list to be sure you saw most of what the area has to offer. 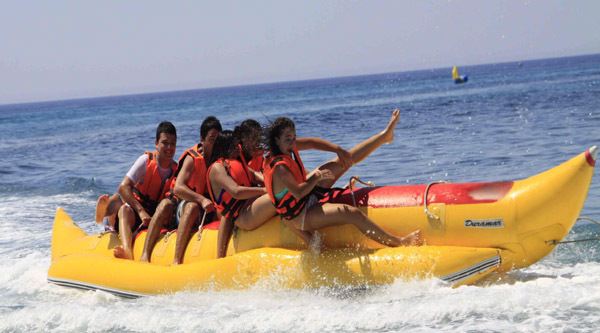 Recreational tourism is getting more and more popular in Egypt. Therapeutic sands in Safaga will help you get rid of rheumatisms and annual Yoga Festival attracts a lot of yoga-lovers to Sharm el Sheikh beaches to practice the activity. 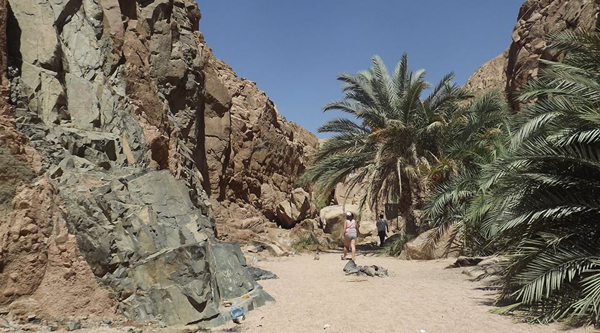 Variety of Natural Protectorates and wide desert with its unique oases attract bird-watchers and nature lovers to the country. But no doubt, that the country is a paradise for all kinds of history travelers. Egypt has so many to offer for those who are into Ancient Egyptian History , who wants to know the beginnings of the history of the mankind. Every Egyptian city has its own charm and historical places not to miss or skip. Of course the most world known attraction in Egypt is The Great Pyramid of Cheops. It is a must sightseeing in Egypt not only because it is the only survived wonder of the 7 ancient wonders of the world but also because it is one of the most ancient monuments in the world! Excursions to Cairo and the pyramids by air or bus are offered from most resorts in Egypt. So, do not miss this chance and visit Cairo, explore Egyptian Museum of Antiquities with its treasures, the Great Pyramid of Kheops and the Great Sphinx, watch in the evening Sound & Light show at the Pyramids or take Nile cruise with Oriental show and dinner. Stay even more days in Cairo and continue exploring the area, go to Saqqara Necropolis and discover other pyramids and tombs. Coptic Cairo exploration will reveal you many very old churches and even a synagogue! Remains of the Old Fort of Babylon are found near Coptic Museum – another place to discover Coptic art and heritage. Discover the Ancient Egyptian civilization from any city of Egypt as most of resorts offer daily trips either by bus or plain to Cairo and Luxor . If you want a dipper glance into the history of Egypt while still having a leisure holiday than Nile cruise holiday will be an ideal option for you. A choice of Nile cruises from different cities , long, short or classical will meet demands of most travellers. If you want to explore even more history of Egypt and visit sites behind the High Dam or Abu Simble temple than Naser Lake cruses is the ideal solution for you. Whatever holiday you are into Egypt has it all. Just visit Egypt this season and you will not get disappointed.